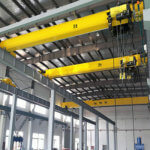 Ellsen overhead Bridge Crane Company can offer you different types of underhung cranes you want. The underhung crane refers to a bridge widely crane used in plants, warehouses, workshops, running with the underhung way. With underhung cranes, the end trucks ride on the bottom flange of the runway beam rather than on top like other types of overhead cranes. 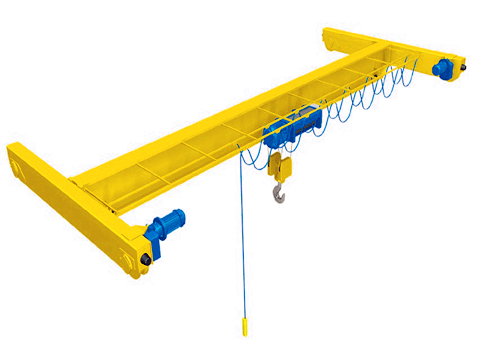 With an underhung crane, the runway beam is often suspended from the roof, which eliminates the need for extra floor columns to support the runway. 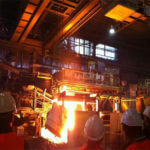 This can be advantageous if floor space and the need to reduce obstructions is a major issue in the factory or warehouse. 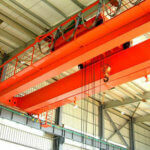 An underhung crane may even be appropriate with sloped ceilings or multiple crane systems. Underhung cranes can be either single girder or double girder. 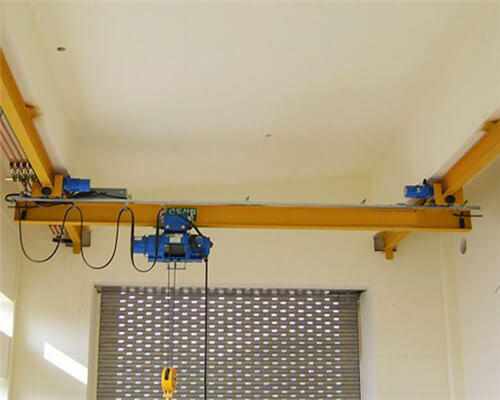 Double girder underhung cranes are often suitable for longer span or higher capacities. However, underhung or under-running cranes are typically limited to lighter capacities (usually about 10 tons maximum). 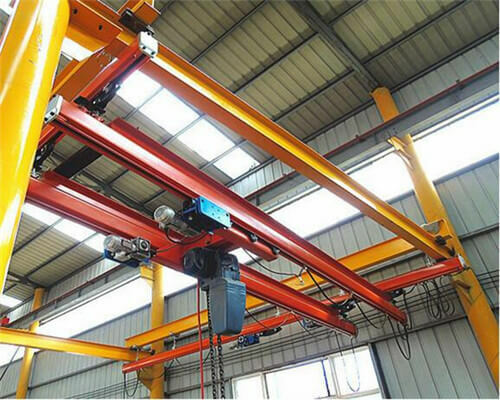 If you want to equip one underhung crane for your factory in different tons, you can offer us your cranes or factories drawings for us, then our crane engineer will according to your individual demands, tailored the underhung bridge crane beam design for you. And most of our underhung cranes are customized, and it is also quite fit for our clients’ needs. 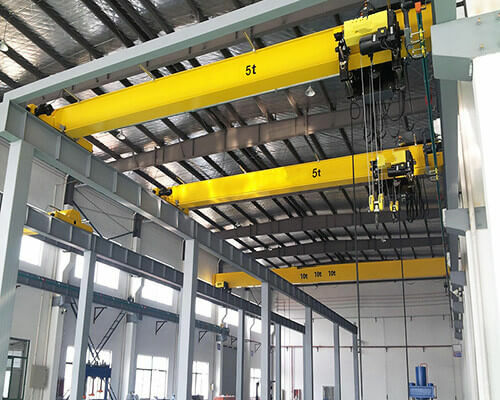 Underhung overhead crane or bridge cranes are a good choice for factories and warehouse facilities that want to free floor space of obstructions and improve safety and productivity. 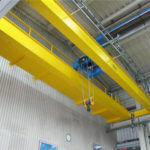 Underhung cranes—sometimes referred to as under-running cranes—do not require supportive floor columns. You may do not understand. 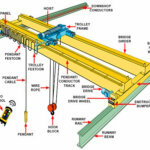 This is because this type of overhead crane stereotypically drives on the lower flange of a runway beam suspended from the device roof or rafters. What strengths of underhung Cranes can bring for your workstation? 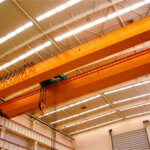 By optimizing end approaches, overhead cranes underhung make the most of the facility space. That is, they allow the hoist to get closer to the end truck or end of the runway than is possible with a top-running crane. The underhung configuration also maximizes the bridge end approach, or how close the bridge girder can get to the wall or the end of the runway. As their beams are suspended from building roofs, underhung overhead cranes are limited in lifting capacity—usually 10 tons or less. Before choosing an underhung crane you should have the structural strength of your facility’s roof evaluated. Supporting beams can be added to permit increased load capacity. 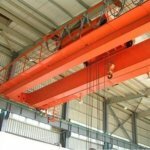 How to select an underhung crane best fit for your facility? The underhung crane best fit for your facility is established based on application and building dimensions (if the crane is to be fitted to an existing building rather than a new building). 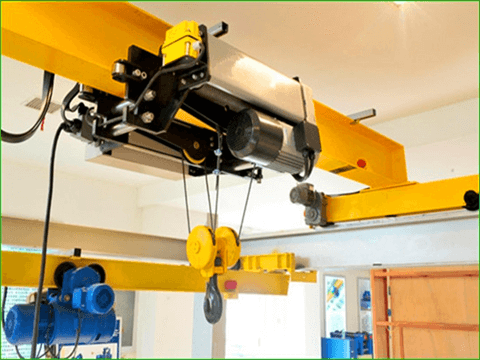 The most effective way to determine if an underhung crane is right for you is to consult with your crane manufacturer and installer before making the final decision about the appropriate equipment to purchase. Thus, when you make up your mind to buy an underhung crane, you can provide us with the specific cranes’ specification match for your working environment. 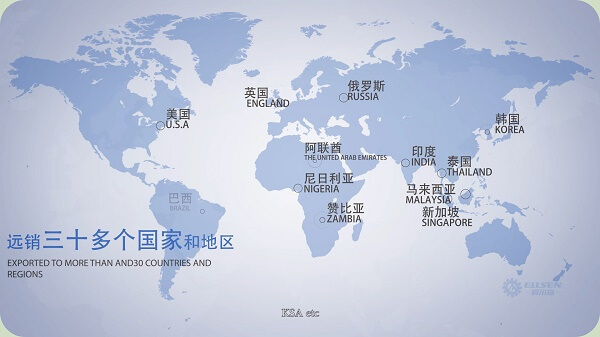 Never mind if you do not know, and you can also provide us with your crane operation working sites sizes. Here our crane engineer will according to the crane information you provide tailor the underhung crane you need. 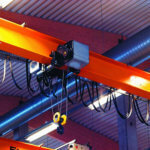 Ellsen overhead bridge cranes can meet your different needs on the cranes, once you forge a relationship with us. Any problems about the underhung cranes buying information, manufacturing, delivering, shipping, installation, and after maintenance, welcome contact us.